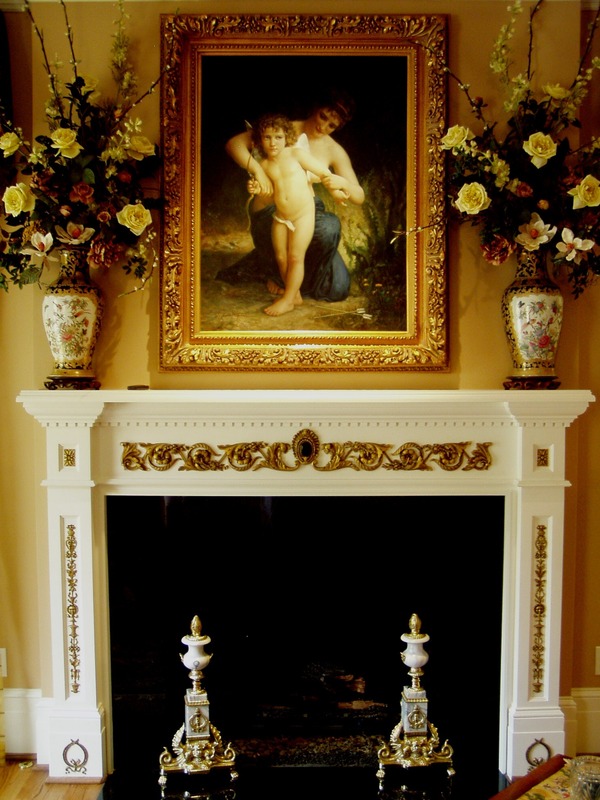 Fireplace Ornamentation elegantly transforms a plain fireplace into a beautiful focal point. This custom project was followed by other fireplace makeovers and we realized that there is a market for ornamentation that is finished and ready to install. The time consuming part is finding the right ornament. So we have taken the time consuming part of the equation and now you can transform your fireplace by simply choosing from our 15 finishes and carefully applying adhesive to the back of the resin ornament. All of our ornamentation is cast from historic masters. Casting in resin preserves the details of the original carving. We also offer other designs and custom ornamentation design services.